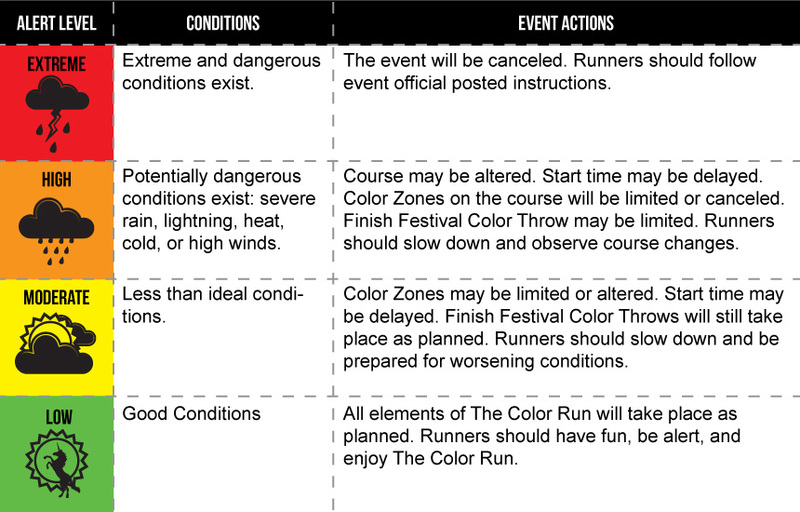 Color Runners' safety is the most important thing and if any of the threatening weather conditions listed below are present the day of the event, the event may be delayed or canceled. When weather conditions or other physical conditions present a danger to participants, The Color Run officials maintain the right to cancel the event. Less threatening conditions may cause alterations of the course or the post event festival to ensure participant, volunteer, and community safety. Such conditions fall under the label "Acts of God," and will not result in refunding of any race entry fees or future event credits. The Race Director, in accordance with the city and the local law enforcement, has the authority to cancel the event. If threatening weather conditions force cancellation of the event, no refunds can be provided, since funds were already spent in preparation for race day. 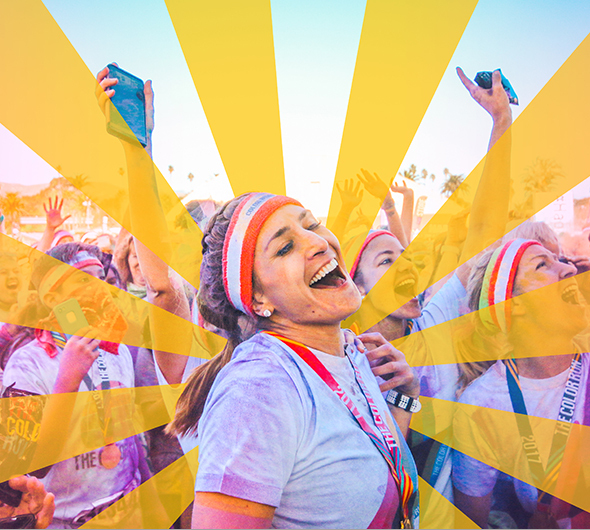 In the event of cancellation, all Color Runners will receive an email with information on how they can still receive their Participant Race Kit. If Event is canceled more than 24 hours prior to the start time: We will notify all participants by email. If Event is canceled less than 24 hours before start time: We will notify all participants by email. We will also send a text to all participants who agreed to receive notification text messages during the registration process. If Event is canceled during the actual event, on-site notification will be posted if weather alert level is RED, ORANGE OR YELLOW on the scale below.